What is the progestogen only pill? The progestogen only pill or POP is sometimes referred to as the mini pill. It is called progestogen only because as the name suggests it contains just progestogen. The progestogen only pill works by thickening cervical mucus making it difficult for sperm to get through or survive and reach the egg. The progestogen pill is taken every day with no break between packets. There are 2 types of progestogen pill available a 3 hour pill and a 12 hour pill. As the names suggest the 3 hour pill must be taken within 3 hours of the same time each day and the 12 hour must be taken within 12 hours of the same time. There are 28 pills in a pack and one must be taken every day, there is no break between packs. When starting the pill for the first time you can usually begin at any time though additional contraception may be required on the first few days especially if you start the pill after the 5th day of your cycle. If you are taking the 3 hour pill ensure you pick a convenient time that you can stick to. Is this the right pill for me? 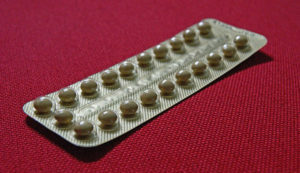 Some women are unable to take the combined pill due to certain health conditions the POP pill is safe to use for these women. The POP can also be taken when breastfeeding. If you are healthy then you can continue to take this pill until you turn 55. Lighter periods, they may even stop completely. Can be taken while breastfeeding. Like the combined pill if you experience sickness or diarrhoea the pill may not work. There are also some medications that can interfere with the pill including some antibiotics, if you are not sure ask your doctor for advice. If you are ill or miss a pill then you can get pregnant. The chances of pregnancy will depend on how many and when they are missed. If you are more than 3 or 12 hours late taking the pill (depending on the type) you can become pregnant. As soon as you remember take a pill, only take 1 even if you have missed more than one. Then continue to take the pills at the usual time even if this means you have 2 on one day. Use additional contraception for 2 days after you start taking it correctly. It takes 2 days for the pill to thicken cervical mucus. If you are sick or experience diarrhoea within 2 hours of taking the pill then you should take another one immediately then at your usual time the next day as the pill may not have absorbed into your bloodstream. If you continue to be ill then you should use an additional form of contraception such as a condom until you have taken the pill for 2-7 days without illness.